The evolution of Social Media has declined the Mass media and its influence. Social Media has a great influence on the viewers, that it has turned down the Print Circulation and TV Viewership, where TV Viewer is down almost 50% since the year 2002. Social Media has been receiving massive gains since the days of MySpace which turned out to be a lifetime opportunity for the marketers for promoting the products and services and get attention amongst the millions of users. 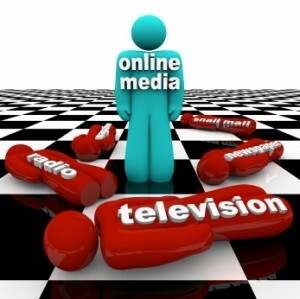 The rapid progress from Mass Media to Social media has resulted in effectiveness, cost-efficient and scalable. The conventional Marketing works with only one motive of hitting thousands bull’s eyes with one arrow. It also do not target an appropriate audience the marketer wants to target, and also it requires investment without any guarantee of success. Whereas, the Social Media uses unique programmatic techniques and also can be personalized according to the choice of the marketer, for instance, who shall be the appropriate audience the ad should reach which is generally not possible in the Conventional Marketing which counted as one of the merit of Social Media. Data Collection: Social Login in the first step that is required for collecting the user data. The user requires permission based way which is acquired by registering and then signing-in to the web properties via existing profiles, so that the business can collect relevant data, and understand the needs of your customer. Data Segmentation: The collected data then needs to be analyzed and crunched so as to derive meaning from the data that has been collected, is the second step of Social Media Marketing. The collected data needs to be analyzed and identify the customer identity, behavior so that an effective marketing campaign can be established. Data Conversion: The final step is to conversion of the collected and analyzed data into actionable sight by establishing and effective campaign. The Social Media Marketing has become so advanced that it has left behind the Traditional Marketing strategy which had low conversion rates whereas the Social Media Marketing has high conversion rates and also having the control of, to which age group the campaign is effective. Thankyou for liking and promoting our blog. We will look forward for such great comments from you. Thanks a lot for such motivational comment. We will meet your expectations. Thankyou so much for liking our blog. Keep checking us for new topics. Awesome issues right here. We are incredibly pleased to talk to your post. Thank you so much and I’m looking ahead to the touch you actually. Would you like to generously decrease me a e-mail?